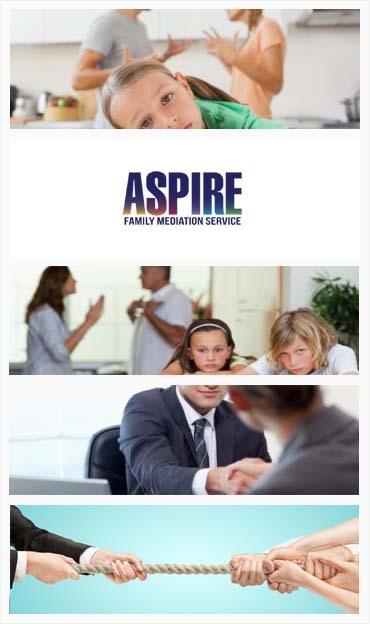 Our mediators are here to help you with any questions you may have about Divorce Mediation, Contact us Today! Although legal experts sometimes make divorce hard to follow, in practice it is a fairly transparent process which can be understood by anyone. This simple guide will tell you the facts about divorce and help you to make a decision in consultation with our solicitors and mediators. It takes normally no more than six months from instructing our solicitors to the end of the process before you can be granted a divorce. There is no reason why you can not obtain a divorce in less time than this. There are various pre-requisites which must be met before you think about a divorce. Firstly, the marriage must be legally recognised in the UK. This is an important consideration if you have participated in a ceremony that is not recognised in UK law. There may be types of ceremony which are not recognised in this way and you should consult your solicitor for details of this. Secondly, you need to have been married for a legally required period of time. In UK law, this period is twelve months. Another legal feature is that the relationship must have no hope of reconciliation. That is, it has permanently broken down and can not be saved. In technical language, the relationship has permanently come to an end. It must also have irretrievably come to an end which means that there is no action that you can take to save the marriage. Thirdly, your home must be in England and Wales and it must be classed as a permanent residence there. If you meet these pre-requisites you can then move through the divorce process. This involves the divorce petition, the decree nisi and the degree absolute. The first part is the divorce petition. This is not an actual petition with signatures, but it means you must apply to the court to get their consent to divorce. This should include a list of reasons to explain why you wish the marriage to come to a close. We can take you through this and explain what counts as a valid, and as an invalid, reason for a divorce petition. As part of the mediation process we can talk to you about the wording which will take place, and who will petition for the divorce. The court will be interested in arrangements that you have put in place for the children. We are able to discuss this with you. The second part is known as the decree nisi. If both parties agree to the petition a document will be sent to you that will consider that there is no obvious reason why you can not apply for a divorce. Using the advice of a solicitor, you can apply for what is called as a decree nisi. In Latin this translates as ‘unless’, meaning that ‘unless’ there is a good reason then you can apply for a divorce! The consent order will also be sent then. This will make sure that any financial agreements have the proper legal status. The third part is known as the decree absolute. As its name suggests, this legally brings the marriage to an end. Legally you should wait six weeks and a day after the decree nisi before you apply for the decree absolute. Our solicitors can send you the documents you need to fill in to apply for this. Once the decree absolute has been issued you are legally divorced.